Overall dims 21 14" x 21 1/4" x 1 5/16"
Can use up to 22g dart! Different from all other home dartboards in the market, the VDarts H3L offers a gaming experience similar to that of the soft dart machines at the comfort of your home. Go online to play with other dart players around the world or invite family and friends for a fun and exciting game! Our Revolutionary LED target is one of a kind! With smart technology, it helps our players with their focus and training. Whether you're an amateur or a professional, with the help of our LED target, you'll be able to enjoy and quickly learn how to play a variety of dart games. With each game, you'll be able to dazzle your audience with these LED lights as they light up the whole room! No more calculating of how many points still needed to win the game. Let our LED target guide you all the way. ** Sold separately as an add-on accessory. Unavailable at this time-currently in testing phase. 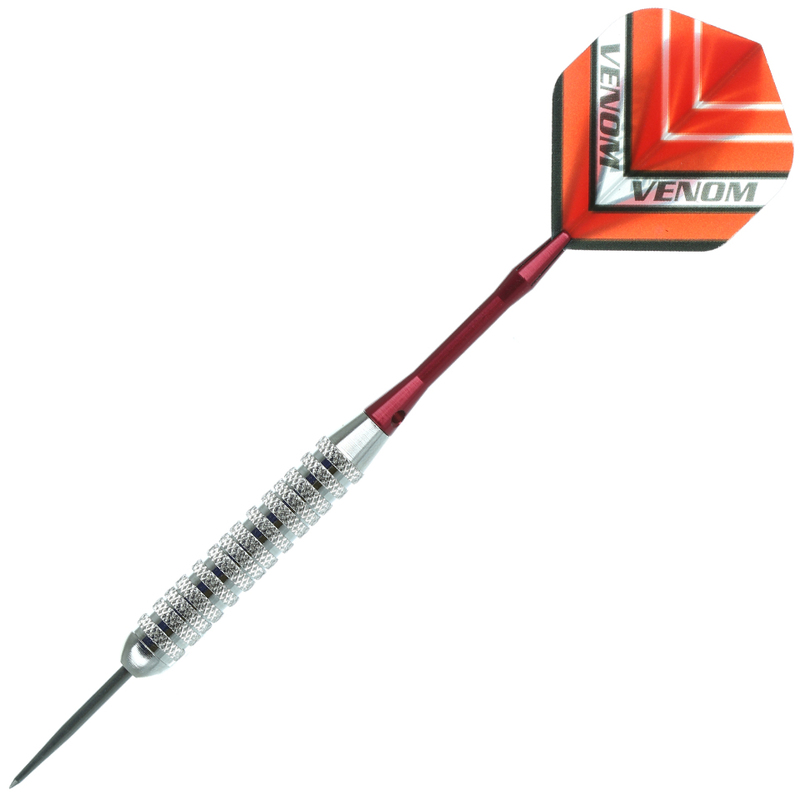 We have especially added the miss sensor to the VDarts H3L to enhance our player's gaming experience. Now it feels like a professional machine! Dimensions - 24.41" x 23.23" x 2.76"
Play it cool or get your thrills with the Wild Card electronic dartboard. This fun, easy game will become the target of attention at parties, in your rec room, at the holiday house or tucked in the man cave. With soft tip darts included, the Wild Card will keep walls (and innocent bystanders) safe from unsightly holes. All you need to do is hang the board and get playing. 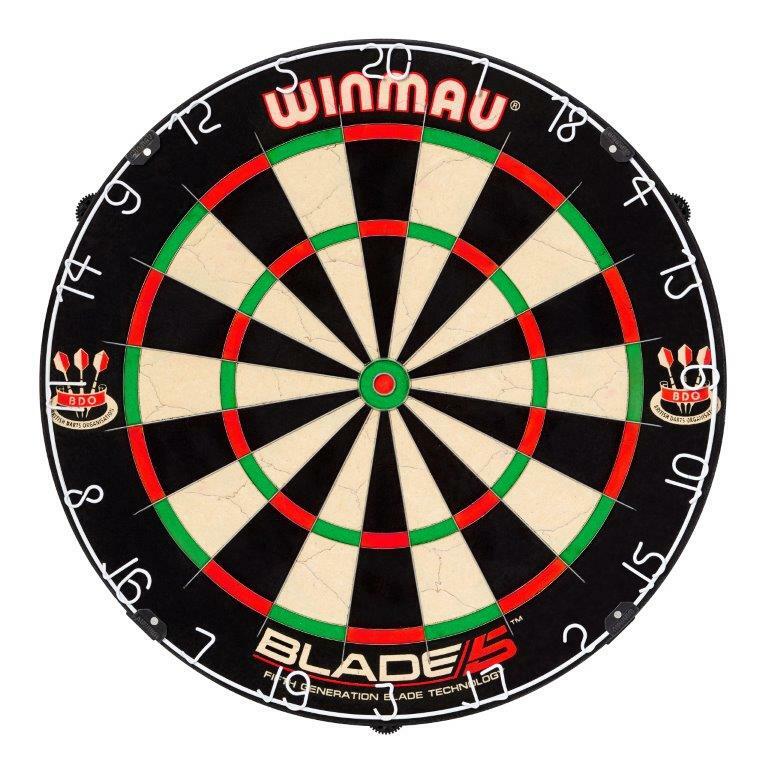 Winmau Blade 5 Champions Choice Dual Core Dartboard is specifically designed with narrower doubles and triples. New Blade 5 wiring system allows for 9mm² extra scoring area in the doubles and 6mm² extra scoring area in the triples. 14% reduction in web surface area for less bounce outs and higher scores. Blade angle reduced from 90 degrees inclusive to 60 degrees inclusive for the ultimate in low bounce out technology. Acute angles over 30% sharper to help deflect incoming darts into the board to increase scoring and reduce bounce outs even further. Over 20% increase in the UTS (Ultimate Tensile Strength) of the DSW to ensure that dart points glide past the wire and into the scoring bed. Cold rolled for improved molecular structure of the steel, extra strength and the ultimate in wire durability. New bullseye and 25 ring featuring carbon diffusion technology for an ultra-hand surface, allowing dart points to glide past the angled rings into the board for improved performance and durability. Lower compression at the outer core reduces surface resistance and increases point penetration for fewer lost darts and higher scores. Higher compression at the inner core increases resistance below the surface, absorbing excess kinetic energy for improved durability. Pure sisal outer core with uncompromised playing surface for perfect vision and easier alignment. The world's most advanced dartboard featuring Dual Core Technology. 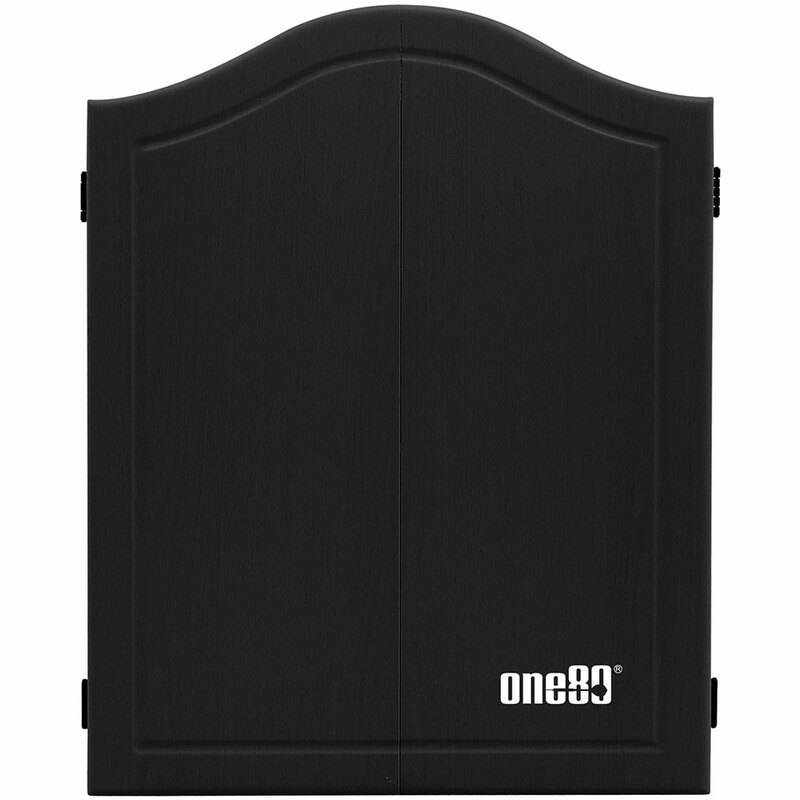 Triple-wheel lock and level system to easily secure the dartboard to virtually any surface. This unique and exclusive system allows for a quick and solid fix to the wall. Each wheel can be easily adjusted to enable perfect radial alignment and leveling. Dartboard design and improvement resonates deeply at Winmau and the Diamond Plus is another first from the World's leading dartboard manufacturer. This stunning new dartboard offers a wiring system that is leaner, more refined and geared to modern darts performance at the advanced level. With dramatically improved playability and durability, the Diamond Plus features a completely new high tensile Dynamic Sector Wiring system for reduced bounceouts. The Diamond Plus is exclusively endorsed by the British Darts Organization and complies to World Darts Federation specifications. 14 3/4" x 18 1/2"
Arachnid's Cricket Pro 520 dartboard boasts an optional interactive Heckler - feature which adds fun to your friendly or competitive game of darts. The Heckler - feature includes a Cheerleader who praises you for precision dart throwing and a great game, or a Heckler - who dishes out comical sarcasm for a sloppy effort. If this feature gets to be too much to listen to, just turn it off. Why buy a Puma/Shot dartboard? 100% Staple Free Patented razor thin spider eliminates "Bounce-Outs"
This item qualifies for free GROUND shipping within the Continental US ONLY !! This dartboard is designed as a practice or training dartboard for competitive players. It has the same superior high scoring and long lasting qualities of the Shot Bandit dartboard with the added features of reduced sized doubles, trebles and inner bullseye allowing players to sharpen their accuracy and the extra value of 2 extra inner bulls eyes for longevity. The razor bladed white wiring system is highly visible with no wire or staples preventing bounce outs for maximum scoring. The depth of quality eco inks provided a high visibility low glare colour-fast surface. Made from premium quality conditioned African sisal for its resilience and visibility. The composite edging which is made in part from recycled plastic and is recyclable provides a clean look and allows easy number ring rotation. A unique wall bracket is included for ease of installing and rotation without removing dartboard. Reduced sized doubles, trebles and inner bullseye 2 Extra inner bulls eyes Razor bladed white wiring system Bladed outer and micro inner bulls eyes Premium ink quality and depth Unique wall bracket Premium quality conditioned African sisal Composite edging Full size board 18" x 1 1/2"
NOTE: The use of grip assist points (grooved, etched or knurled) on steel tip boards may pull fibers out. 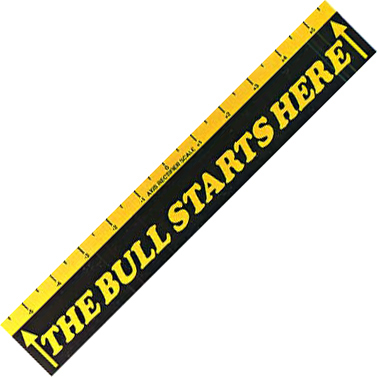 This may limit the life of your steel tip board and void any manufacture warranty. While screen printed as a Bandit Plus it features a partical board backing. A stylish dart board for your game room, the Bullshooter by Arachnid Illuminator 3.0 Light Up Dart Board in Cabinet has a sleek cabinet and popular illuminated number ring. 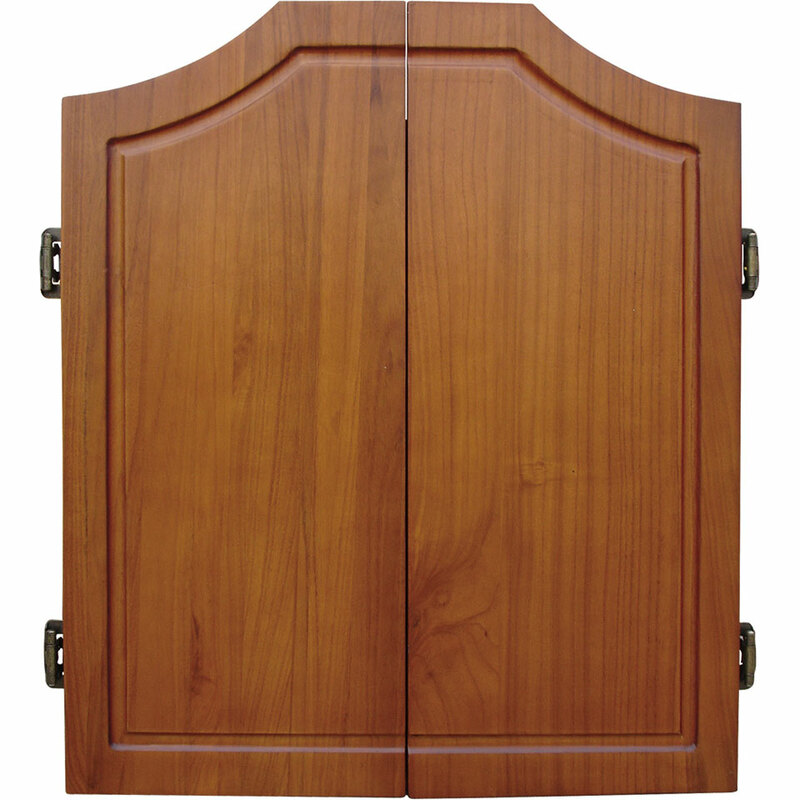 The LCD display is easy to read and the doors remove if you wish. This dart board has 13 dedicated light-up games and interactive technology that allows for new games, too. Includes two sets of soft tip darts so you can play immediately.